This will be dropped by the new darkmoon faire boss. Look , it's a moon caller . DAMMIT, WHO INVITED MOON MOON? Drops from the Darkmoon Faire boss, Moonfang. (Supposed name.) The boss will also drop , which is a vanity item. I believe the boss may also drop 달송곳니 가죽. 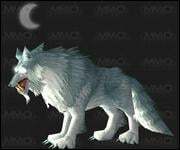 Moon Moon (battle pet) has a couple of unique animations which includes a trailing moonbeam as he runs and leaps back at you. You can also try /dance while targeting the pet for something quite different. To see him in action, check out Moon Moon's animations and pet battle video. Moon Moon (drop) doesn't appear to be a very high drop but the fact that you can kill and loot this boss every hour or so gives me hope that I should get it before the end of the week. At least we don't have a faction tap like the Darkmoon Rabbit which also doesn't spawn very often. Uhm... what's up with that "same model as" tab? Oh god.... How did Moon Moon get here. I missed the first kill of the darkmoon faire by a few sec. I decided to come back one hour later and the boss respawed shortly after. Drop rate doesn't seem very low as also as at the first kill at least someone got the pet as well and there were like 30/40 players for each kill. Goddammit Moon Moon, you can't just ask people why they're green! Or blue. Or purple. Or giant anthropomorphic cows. When you click on Moon Moon, he makes the usual wolf attack noises - with one big difference, they're played faster and are thus higher-pitched. He also howls on occasion when clicked. You can /dance with other players' Moon Moons too, if you want to see the effect. MY NAME, IS FRICKIN MOON MOON. I’D BE THE MOST RETARDED WOLF. ‘OH ! @#$ WHO BROUGHT $%^&ING MOON MOON ALONG? you now aware that Walter White was a Moon Moon. beware the Moon Moon's inner demon. This Item is dropped by 달송곳니, the new boss on the Darkmoon Island. Remember that 흐린빛 월장석 is not learnable, it's just an item you keep in your inventory as long as the Darkmoon Faire is in Azeroth. Also consider killing 다크문 토끼 as this one can also dropp a pet for you 다크문 토끼! I got lucky and got this on my first kill. It has some neat idle animations and It is also a pretty cool little battle pet. Can substitute for an Alpine Foxling in the Celestial Tournament as it has both team speed buff and howl. Leveled it to 25 and put together a small video looking at the abilities and the idle animation. You can see it here. Anyone know the drop rate? I'm going on 4 kills in a row - so far nothing except the temporary mount. Moon Moon come back here! Very valuable pet. I had it drop for me when killing Moonfang and people in general chat were all looking to buy. Sold my Moon Moon for 15k because I figured I'd get another. Good luck to all you pet hunters! 6) Moonfang's Paw 7) Moonfang Shroud 8) Shimmering Moonstone 9) Moonfang's Paw. I'm disappointed the pet doesn't have the little moon over his head like the transform item, mount, and boss do. If you /dance with Moon Moon, he will dance on his hind legs in a beam of moonlight with you! All you must do is hit 달송곳니 with a good strike (or twelve for good measure), and she'll sparkle for you when she's dead. Loot is completely obtainable at any character level, even at level 1. Long story short, I've tagged 달송곳니 in 45-50 battles this week across multiple servers with various characters at levels 1 to 20. And finally... one adorable 달달이. It seems that, while this and the other vanity items can drop from any Moonfang kill, your first kill of the Darkmoon week has a much higher chance of dropping them. Much like the vanity drops of the Timeless Isle. Apparently, whenever i summon the pet, my worgen druid have a howl animations as well. I am not sure this happens to all of yall, but I think this happened to me because the worgen race, which makes this pet even more unique and awesome! And by the way, if you dance with moonmoon with druid's bear form, it is just beyond awesome. I got everyone start dancing at stormwind with me today. Ah who the #$%^ brought Moon Moon along? There is definitely something wrong with the loot system, though. On my main, my DK, all I get is the Shimmering Moonstone. On my second best, my Hunter, all I get is Moonfang's paw and/or Moonfang's Shroud. Finally (here's the good part), on my Warlock, all I get is Moon Moon. So far, I have received 19 Moon Moons from the same faire. WTF blizzard? So I just got my Moon Moon. Being a dweller of the internet, I knew all about the meme and got quite excited by all of this. So I decided to take him through his very first pet battle. He lost to a lvl 1 maggot in UC. Was incredibly lucky and got Moon Moon on my very first tagging of Moonfang.....I didn't even realize how rare it was until some girl mentioned that she had been trying for over SIX MONTHS! lol. Edit: 4 Now, and why would you downrate the truth, U dont belive me? Has anyone ever gotten more than one to drop? I am sure you can only keep one like the seahorse pet you get while fishing in Darkmoon. I got moon moon on my first try with a level 60 character .-. Can anyone confirm if they've seen this drop in 8.0? I'm starting to believe it is bugged. I've killed it 17x during this DMF and not had it drop for myself or anyone else in the raid yet.